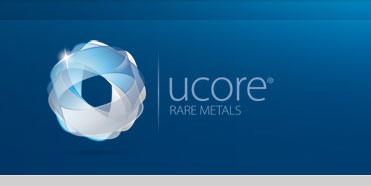 (TSX-V:UCU) (“Ucore” or “the Company”) is pleased to comment on the passage of Senate Bill 99 “AIDEA: Development Loans” (“SB 99” or “the Bill”) through the Alaska State Senate. SB 99 passed in a unanimous vote, with all 20 senators voting in favor of the Bill. The Bill would authorize the Alaska Industrial Development and Export Authority (“AIDEA” or the “Authority”) to issue bonds to finance the infrastructure and construction costs of the Bokan-Dotson Ridge rare earth element project up to a principal amount of $145 million. The Bill, originated by Senator Lesil McGuire (AK-R) and subsequently amended by Senator Bert Stedman (AK-R) will likely now be referred to the Labor and Commerce Committee of the House of Representatives for consideration and approval before final consideration by the entire House. Pending approval of SB 99 by the House of Representatives, AIDEA will be given the authority to arrange for the bond financing, subject to its own final due diligence and the approval of the AIDEA Board. AIDEA is a public corporation of the State of Alaska which was created in 1967. AIDEA was originally capitalized in the early 1980’s with an existing loan portfolio and a small amount of cash held by the Department of Revenue in the General Fund in the amount of $189 million. AIDEA’s Development Finance Program started in the mid-1980’s, capitalized with the transfer of a loan portfolio in the amount of $128 million from the State General Fund. AIDEA has repaid all of these initial capitalization funds to the State through its annual dividend program. To date, AIDEA has paid the State General Fund a total of $345 million in dividends, including the 2014 dividend of $20.75 million. With approximately $1.4 Billion under its management, the Authority has an ownership position in 8 Alaskan projects, has issued in excess of $1.3 Billion in Conduit Bonds and has a loan portfolio in excess of $400 million.